This subproject examines the emergence of unexpectedly shaped human fetuses as objects of medical inquiry. What were deviant or extraordinary births and how were they treated in Swedish medicine before teratology was established as a discipline of its own? Obstetricians, parents, anatomist, embryologists and actual births are in the focus of interest and so is the definition of so called monstrosity in a period when the worth of the irregular shifted immensely and when naturalistic, legal and religious explanations of the natural world, its order, and disorder went hand in hand. • Review of Kirsi Vainio-Korhonen, De frimodiga: Barnmorskor, födande och kroppslighet på 1700-talet, Scandia, 2016, vol. 82, no 2, 107–109. • Review of Tove Paulsson Holmberg, Onaturlig födelse: Johan von Hoorn och det obstetriska dilemmat 1680–1730, Diss. (Lund, 2017), Lychnos: Idéhistorisk årsbok, 2017. • “Let the extraordinary get in to your mind! Johannes Schefferus and the prodigious son of a fisherman, born in Södertälje, 1668”, paper presentation, Extraordinary bodies in early modern nature and culture. 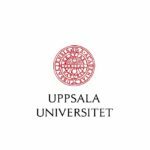 An international workshop at Uppsala University, Sweden, October 26-27, 2017.